It’s the second month of Q4 for 2013. 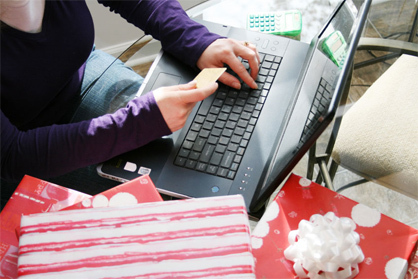 Have you started preparing your eCommerce business’ holiday search engine marketing campaigns? If you haven’t started doing so in September, you should start doing it NOW. I’ve compiled a handy checklist of things to help you make sure your campaigns are holiday-ready. Check the data you have on your past holiday campaigns, and see how they performed around throughout November and December. When did your holiday traffic and sales start increasing? Determine what worked last year and what you can do to improve this year’s campaign. Review what kind of competition you faced during holiday season, and take any necessary steps to compete better this year. Your campaign’s old statistics aren’t the only things you should look at. Look at your previous ads and offers. Which ones worked better than the rest? Use these as the basis for this year’s campaign. After reviewing last year’s efforts, you should have a good idea how to plan your offers and ads. You need to come up with a promotional schedule. Schedule promotions for important dates like Black Friday (November 29) and Cyber Monday (December 2), but it’s also important to keep your customers’ behavior and priorities in mind throughout the holiday season. The season will start out with customers trying to find the best bargains, but the closer you get to the holidays, the more they start thinking about easy gift ideas that ship fast. Adjust your campaign and promotion schedule to adapt to these changes. Your strategic planning should also include setting your offers’ start dates and the last day when you can take holiday delivery orders. Make sure your campaign covers general “gift” or “present” keywords in your campaign, such as “presents under $50” or “gift ideas for dad”, and keywords related to consumer holidays (Thanksgiving, Christmas, Hanukkah, and New Year’s) and retail sale days (Black Friday, Cyber Monday, and Green Monday). Adding these to your list of keywords can greatly expand your campaign’s reach during the holiday season. Online shoppers don’t focus on a single channel when looking for products. While they’re conducting search queries, they’re checking their email, reading related content, and viewing their social media feeds. Your campaign has to be exactly where your audience is, and you can’t afford to miss any marketing channels. Your email blasts, social media posts, and remarketing ads have to tie-in and target the right audience segments in order for your campaign to be successful. Search engine marketing companies should start planning for the holidays early to avoid rushing at the last minute. Contact us to find out how else we keep our clients’ SEM campaigns running smoothly.